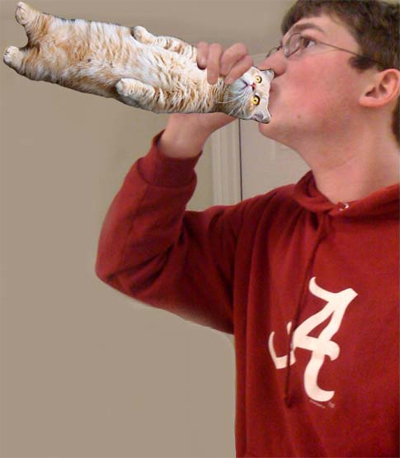 This guy is holding his Boozecat up like a trumpet and playing it loud and proud. I'm guessing he's either playing "Taps" or "Ring of Fire." Either way he must be pretty depressed.